interested parties gaining a better understanding of marine monitoring carried out in the UK. a means to identify where sampling can be better coordinated between organisations, leading to a more efficient use of resources. Monitoring activities may be searched for via Geographic Information System (GIS) maps and/or by organisation, parameter groups, frequency, start dates and other fields by use of the drop down menus within the search. The results are presented on maps along with further details, related links and contact information. 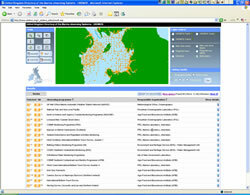 UKDMOS is available for the wider marine community and is expected that entries will be completed by October 2008. The technology used has relied heavily on the outputs from the EU funded SeaDataNet project. 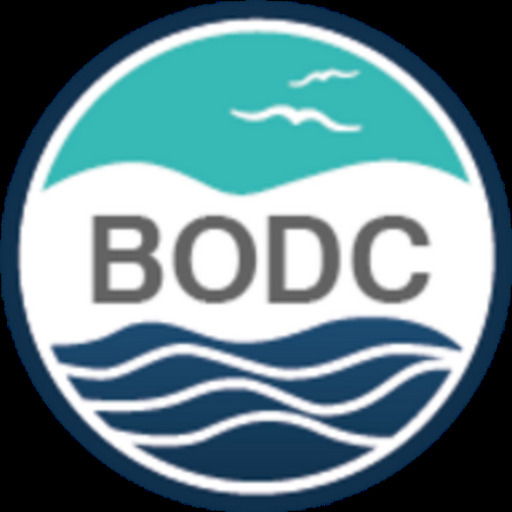 Database content submission is funded by the Department for Environment, Food and Rural Affairs (Defra) and the Scottish Government. The Marine Environmental Data and Information Network (MEDIN) will be responsible for maintaining the entries. All content will be reviewed annually, or as required, through liaison with the person responsible for each monitoring programme. Members of the Marine Assessment and Reporting Group (MARG) will also be required to notify MEDIN of any new monitoring programmes within their organisation. In the longer term it is hoped that a database content management system, currently being developed by the SeaDataNet project, will be available to allow organisations to update their entries directly.